We know this will sound too good to be true, so if you are thinking about where your next cruise will be, let the planning begin with our assistance and enjoy Crystal's all-inclusive experience. 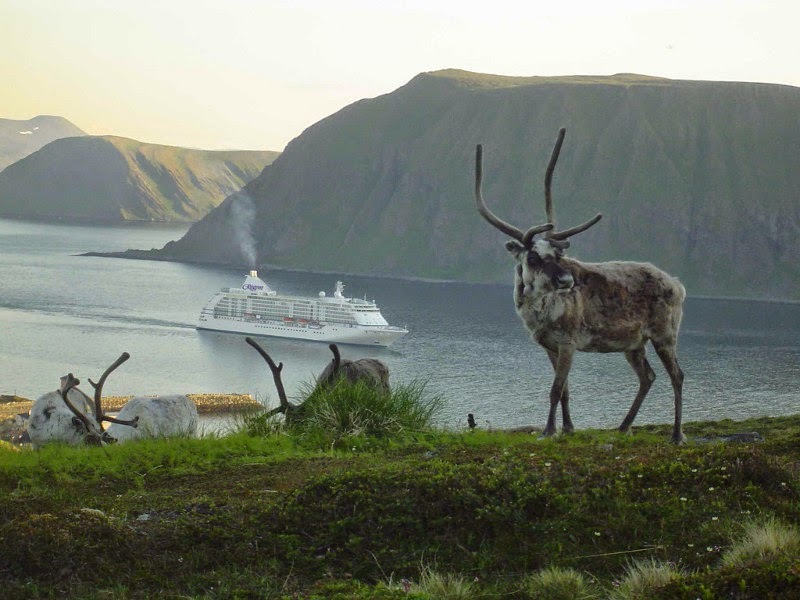 With choices and options both on board and ashore, you can orchestrate your own experience on one of 20 magnificent voyages from Iceland, the Baltics, the British Isles and Canary Islands to Russia, the Mediterranean, and the Northern and Western peninsulas of Europe. Whether you're passionate about food and wine, art, architecture, adventure or just relaxing aboard ship, to entice you Crystal has many "Special Theme Cruises"
Crystal Wine & Food Festival - educational and unforgettable wine and food tastings on board and ashore. Emerging Artists - enjoy live performances from rising stars of the Music Center of Los Angeles Spotlight Awards program. You can even sail with Crystal's President, Edie Rodriguez, April 24-May 1, 2016, aboard Crystal Symphony. 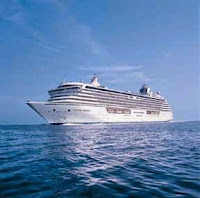 Whichever style you choose to cruise with Crystal let Reid's Crystal Cruise Specialists make your dreams come true! For those seeking a unique way to experience Ireland, we invite you to be among the first on board. As a matter of fact, our travel consultants haven't had the opportunity to experience it as journeys begin summer 2016. Traveling on this new train will be akin to a land cruise with daily excursions and experiences from fiddles and flutes that will get toes tapping in a traditional pub, to the folklore tales of mischievous faerie folk, flame-haired pirates and ghostly banshees, and the literary prowess of some of the world's most famous wordsmiths including Oscar Wilde, James Joyce and Samuel Beckett. Interior designs draw on Ireland's unique character and mythology with colors inspired by the flora and fauna of the countryside. Each carriage reflects the colors of the tartans from the county after which they are named. The sleeper carriages accommodate just 40 passengers in elegant en-suite cabins. Start thinking about which you would prefer: 'Down' features shades of oranges and browns; 'Kerry' boasts shades of purple and blue; 'Waterford' is shades of green; 'Leitrim' has accents of red; and 'Fermanagh' features silver and gold. 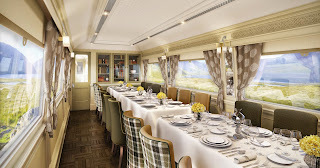 Two dining cars - 'Wexford' a light-filled space with Irish motifs and tweed fabrics and 'Sligo' an elegant restaurant with a Georgian feel in greys and warm woods - provide the perfect setting to enjoy sumptuous fare with an authentic taste of Ireland from artisan cheeses to superb seafood and smooth Irish whiskies. 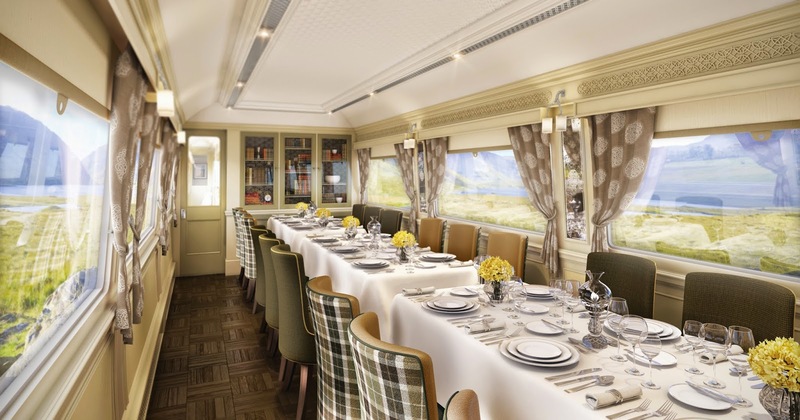 As you glide the rails, take in the stunning scenery through large picture windows in 'Kildare', the observation car, which will surely be the social hub of the Belmond Grand Hibernian. Don't forget to try some old Irish craic (in Ireland this means lively conversation and good times with some music thrown in for good measure). 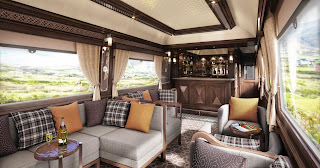 There are two, four or six night journeys on this all-inclusive luxury train (meals, drinks, entertainment and excursions). All double cabins can interconnect with twin cabins, making them an ideal option for family travel. 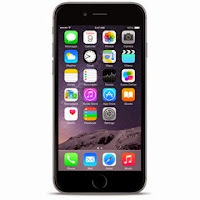 Cell phone tips and tricks while cruising! As you finalize your plans for summer vacations, we strive to keep you informed in many areas of "what you need to know" so that (borrowing from Cicero) the memory of a well-spent vacation is eternal. 7. Use mobile friendly sites - they are designed to load faster and consume less data. Type "m" instead of "www"
Give Back while you Travel! Finding organizations that match your current interests is a powerful way to begin integrating community service into your travels. However, independent volunteering includes a lot of variables; things can go wrong so you need to ask yourself if you have the time on your trip to be valuable and of use. If you don't have much time or have other goals for your vacation, it's okay to admit a trip is better suited to visiting then providing aid. Go. Enjoy. Learn the culture and invest your tourism dollars in the local communities. 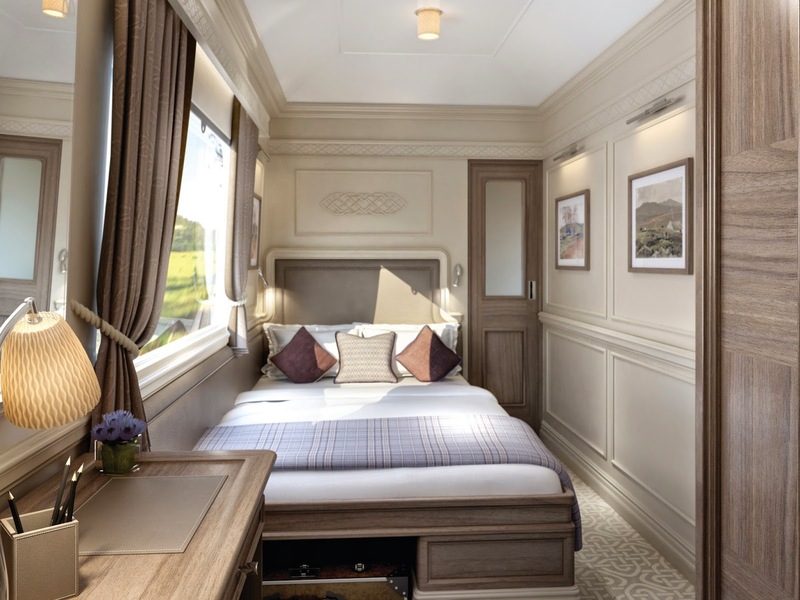 As one of the first luxury lines to fully embrace the notion of combining meaningful and educational tourism with adventure travel, Crystal Cruises offers a complimentary "You Care. We Care" Voluntourism Adventure on every itinerary (where possible). The "You Care" element offers the opportunity to make a difference in the places you visit at a local level, while the "We Care" portion represents Crystal's own investment in preserving precious historical sites around the world. These adventures focus on hands-on volunteer efforts with no obligation of financial donations. With the goal of improving destinations for future generations, Crystal Voluntourism Adventures allow guests to directly contribute to a need or cause specific to the community you are visiting. Micato Safaris guests get an opportunity to see just how much of an impact "AmericaShare" is having. Through the "Lend a helping Hand on Safari Programme", every Micato guest in East Africa can spend a few hours at "AmericaShare" projects during their safari. You might discover the significance of a grain mill, bore-hole and sewing machine to an impoverished community's survival; or share jokes with youngsters; plant a tree; or simply be a bridge of information and exchange between cultures. You get a glimpse of a different side of Africa, and can see firsthand how African communities are surviving against daunting odds. For many Micato guests "Lending a Helping Hand on Safari" is the highlight of their trip. Lives have been changed...not just the children's. Our thoughts and hearts are with Nepal as they recover from the earthquake's devastating destruction. Should you wish to give to the relief efforts, Ker & Downey suggests supporting Convoy of Hope and Charity Water. Well here we are again beginning a new month, the month of May. Here in Florida one need to only step outside to know summer is almost here and we will soon be looking for cool, both literally and figuratively. Fortunately, for us at Reid Travel, there is a seemingly endless supply of cool. We have lots of cool destinations and lots of cool stuff to do as well. As a matter of fact, two of our consultants have been talking about traveling to cooler climes this summer on cruises taking them to some really interesting places. 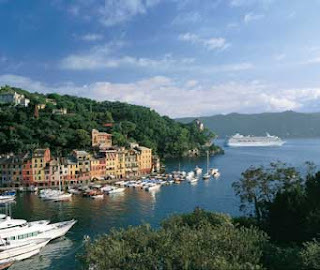 Trish is looking forward to a plethora of ports on the Seven Seas Voyager: Southampton to Copenhagen. The World Cruise of the British Isles, with ports of call in Waterford, Dublin, Liverpool, Belfast and Oslo to name a few. Rather intensive, wouldn't you say? Exciting and educational too. We always anxiously await our consultants' return so that we can live vicariously. 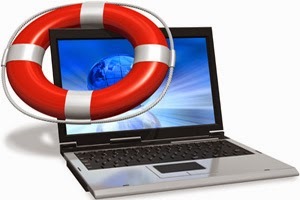 You will be able to also by staying tuned to our blog. if you want to check out a trip for the future, visit our website and select your destination choices. Julia is going to celebrate her birthday on the Silver Explorer. She is taking an expedition cruise to the Arctic, a trip that has always been at the top of her "to do" list. 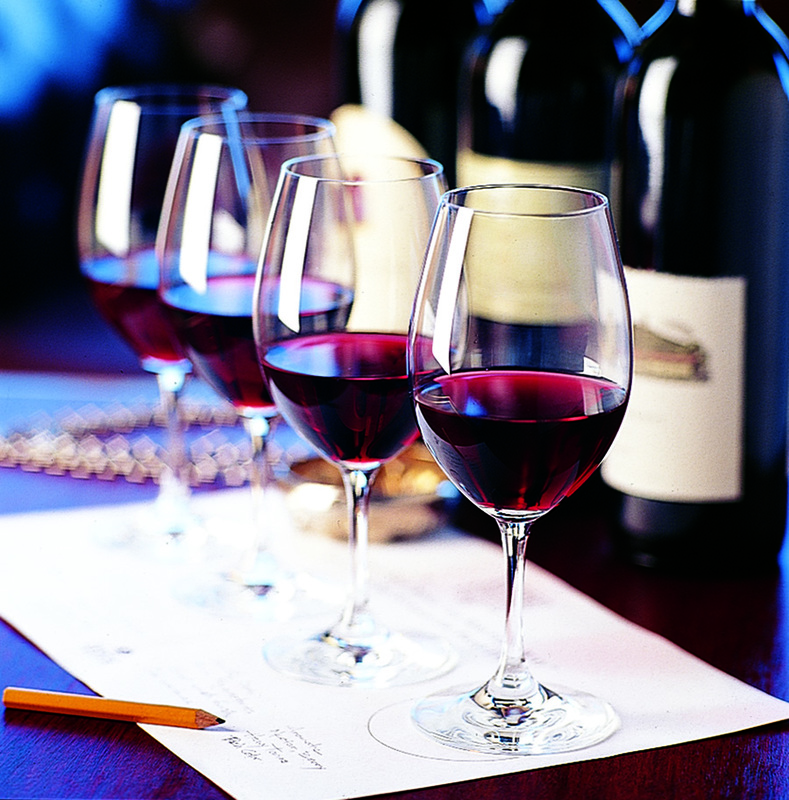 This journey should certainly be as exquisite as the destination itself. Julia will be exploring the great outdoors while enjoying the gracious comfort and gourmet cuisine indoors aboard Silversea. To read more about the Polar Bears check out Julia's blog. 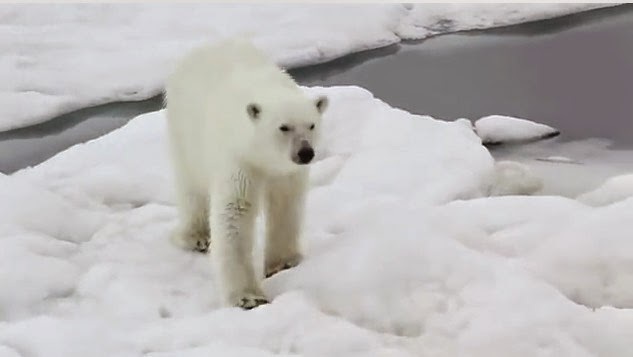 Play the video of the Polar Bear on the Reid Travel home page, and while you are there sign up to receive our free emails about travel news and promotions. ...and remember, we're always here for you whenever and wherever you travel.